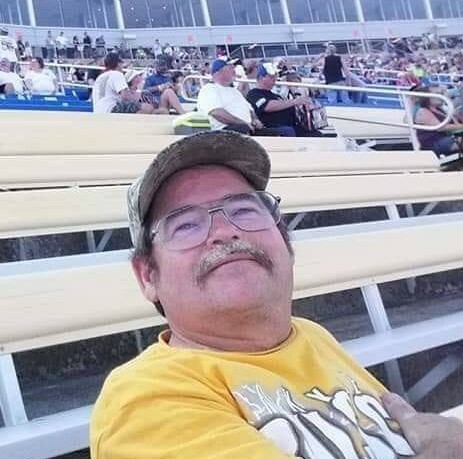 Harry Lee Martin, 59 of Charlestown, IN passed on Sunday, January 27, 2019 at Norton Hospital, in Louisville, KY.
Harry was born on December 27, 1959 in Louisville, KY to Vernon Martin, Jr. and Lulu (Dennison) Martin. He was a maintenance man at Leigh Hanson Rock Quarry in Jeffersonville, IN. He was preceded in death by his father, Vernon Martin, Jr. Survivors include his daughters, Amy Martin and Angela Martin of Charlestown, IN; mother, Lulu Martin, brothers, Miller Martin of Louisville, KY, Carl Martin of Radcliff, KY, Vernon Martin, III of Louisville, KY; sisters, Mary Rogers of Lebanon Junction, KY, Lucille Edwards and Trish Martin of Sellersburg, IN; grandchildren, Jasmine McCorkle, Tiffani McCorkle, Stephanie McCorkle, Kameron Vernon, Lilliana Adams, Zachary Adams, and Raydan Adams; and his children's mother, Brenda Martin. Life Celebration services will be held at 10 am on Saturday February 2, 2019 at Grayson Funeral Home in Charlestown with burial in Charlestown Cemetery. Visitation will be from 4 pm to 8 pm on Friday and after 9 am on Saturday.